Character recognition is one of the oldest sub fields of pattern recognition. Recognition systems have been effectively developed for recognition of printed and handwritten characters of non-Indian languages like Chinese, English and Arabic. Efforts are being done to design efficient recognition systems for few of the Indian languages including Bangla, Hindi, and Telgu. 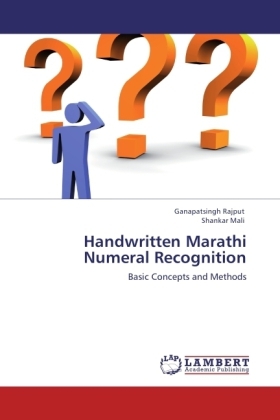 This book presents a study on isolated Marathi handwritten numeral recognition. Marathi, written in Devnagari script, is the 4th most spoken language in India and the 15th most spoken language in the world. Different feature extraction methods have been proposed in this book. Well known classifiers namely K-NN and Sopport Vector Machines are used for classification and recognition. Experiments are carried out on a large numeral dataset created manually by us. Recognition results are being compared with the results presented by different authors in the literature.